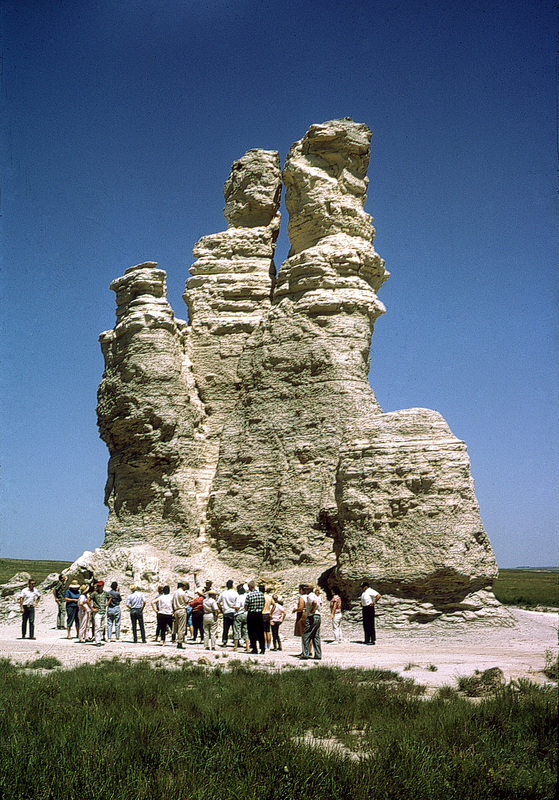 Scattered chalk spires, hoodoos, and walls that tower over the plains in Gove, Logan, and Trego counties are among the state's most distinctive geologic features. 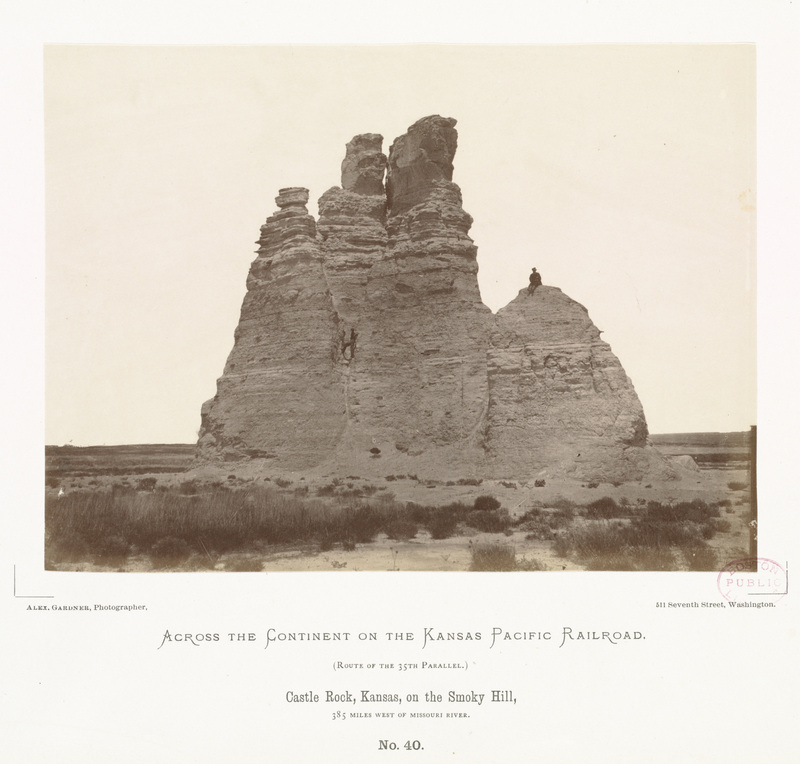 As one of the most notable outliers, Castle Rock in Gove County served as a landmark for early travelers on the Smoky Hill Trail, which was used for a short time as a stagecoach line by the Butterfield Overland Despatch. 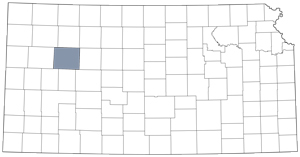 Carved by water, wind, and other environmental forces, Castle Rock is part of the Smoky Hill Chalk Member of the Niobrara Chalk. The massive layers of chalk formed from sediments deposited on the bottom of a great inland sea that covered much of western North America during the later part of the Cretaceous Period, about 80 million years ago. In the late 1800s, the Smoky Hill Chalk was the focus of a flurry of paleontological activity that produced fossils of sharks, turtles, fish, mosasaurs (large swimming reptiles), and pterosaurs. Although spectacular fossils are still being found in the region, Inoceramus (clams) and other marine shelled animals are much more common. 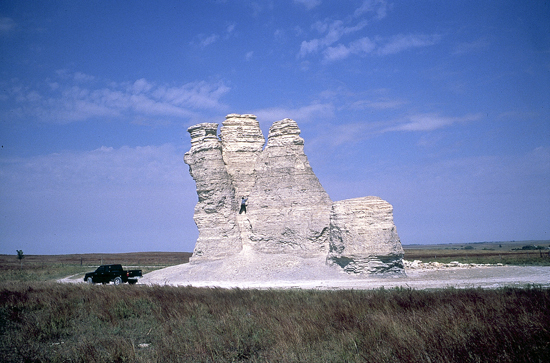 The Castle Rock spires and other remnants of the Cretaceous sea floor will last well beyond the 21st century, but erosion from wind and water continues to wear them down. 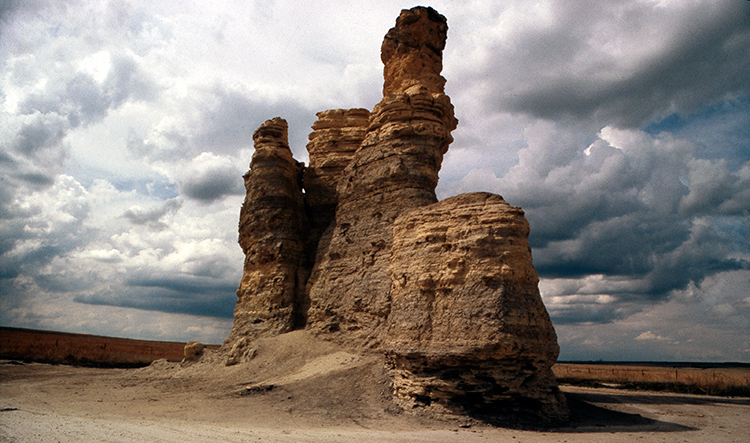 In 1998, a hoodoo in the badlands known as Cobra Rock collapsed, and in 2001 the top of Castle Rock's tallest spire toppled after a thunderstorm. 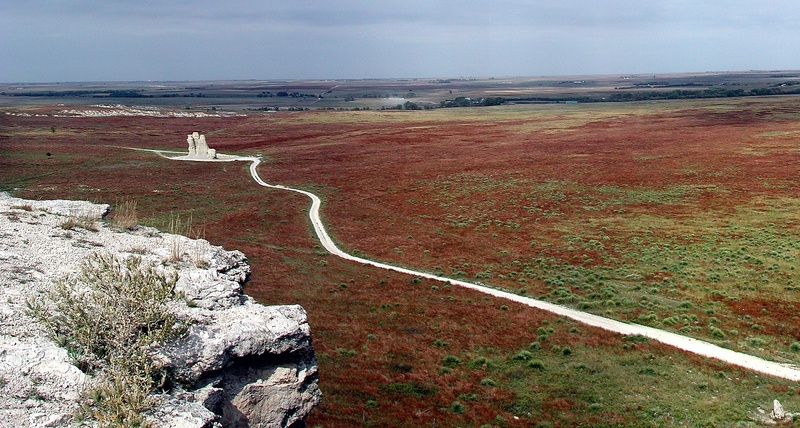 A chalk badland overlooking Castle Rock provides further opportunity for exploration. Although the landowner graciously allows access to Castle Rock and the badlands, visitors should keep in mind they are on private property. The roads to Castle Rock are unpaved and may be impassible in wet weather.